The controversy whether pacing is fair is one that spans the running community at all distances. Pacers are often used in certain track and field events to act like rabbits and help runners maintain a certain pace. However in major competitions, such as the Olympics, this type of support is not allowed. While some may use a pacer for this same reason in an ultra, I would argue that the main reason for pacing someone is for safety. Many ultras take most of the field over 24 hours. As a result, people are often running through the night in woods where cell service is often non-existent and a twisted ankle could be life threatening depending on the weather. Regardless of the reason one uses a pacer, I believe that if the race allows it, why not take advantage of it! Personally I have found pacing someone to be some of the most amazing experiences. 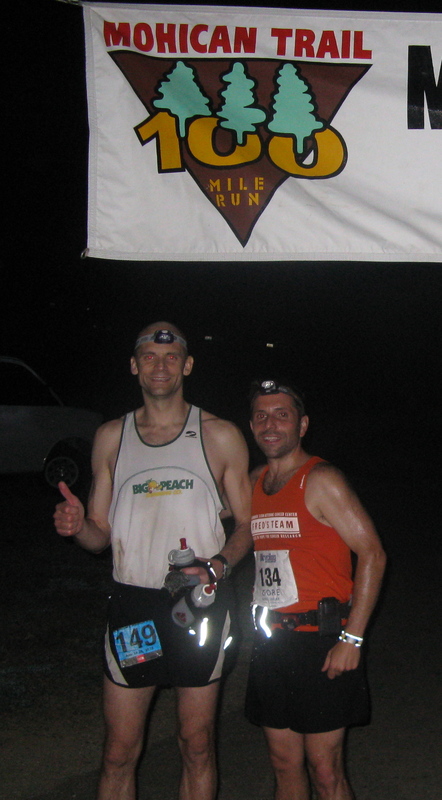 It was pacing that initially exposed me to the Ultra world when I paced my good friend Bobby Goat at the Mohican 100 in 2010. It was this experience that got me hooked on ultras as we ran through the night. I saw him experience challenges as was impressed as he dug deep to complete his first century run. Pacing someone is not an easy task and can be stressful regardless of the race, the distance, or the person. 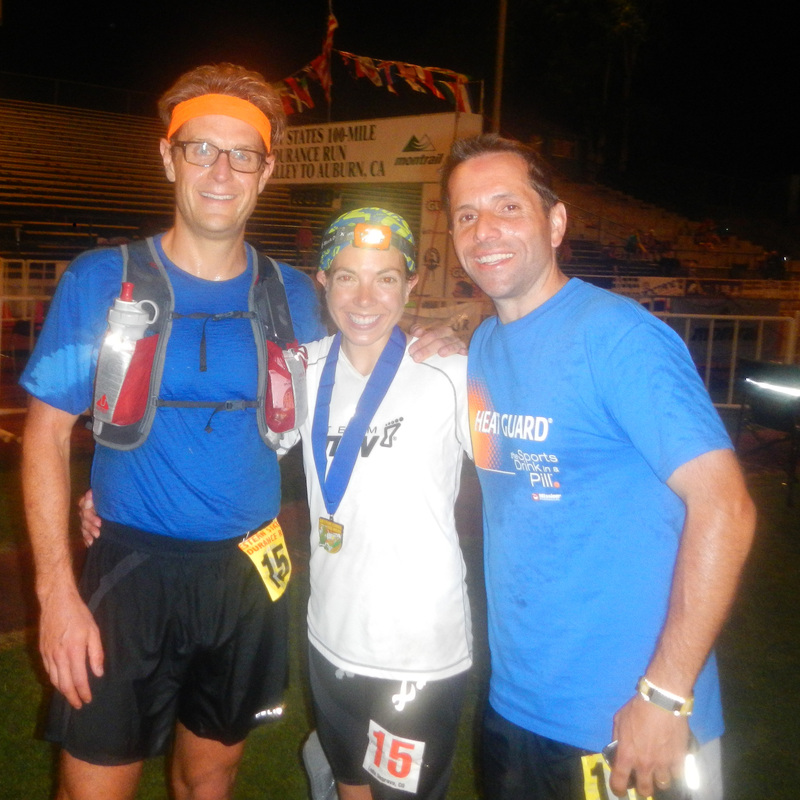 This past June I had an amazing opportunity to pace Leila DeGrave at Western States 100 Mile Endurance run (WS100). 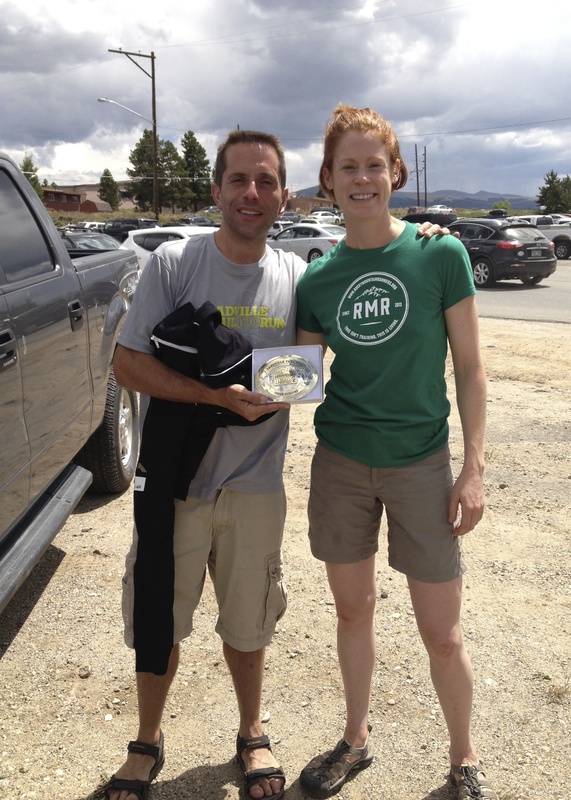 I had met Leila in Colorado on a training run for Leadville. We talked about how we both needed pacers at our events and fortunately I had a business trip planned to California the week of WS100. Some might suggest WS100 is to ultrarunners as The Boston Marathon is to marathoners. Regardless of your thoughts on that comparison, WS100 only allows ~400 runners and is the premier ultra-event in the US with an international field. 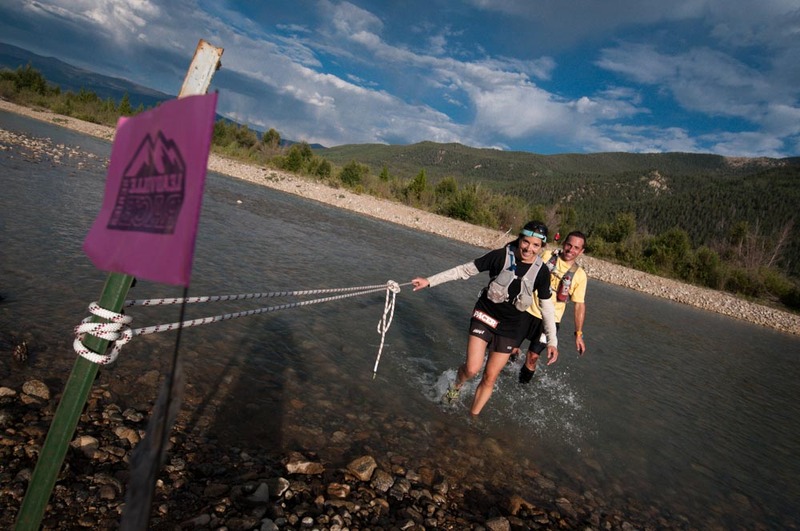 It is the original 100mile race in the world and occurs on a beautiful course that involves climbing 19,000’ through the snow-covered mountains of the Sierra Nevada and descends 23,000’ through the America River where temperatures can exceed 100 degrees. It was the third time I had paced someone but the first time it was someone other than a training partner. I wasn’t sure what Leila may need, and given her impressive running resume, I was worried about keeping up, having stomach issues, or any numerous other concerns. Fortunately I only had to run approximately 21 miles on the second hottest day in the races history to help Leila finish in the top 10.
to run WS100 after this experience. On December 7th, my one raffle ticket was selected amongst 4700 tickets with just over 200 spots available. Unlike my lack of appreciation when I was selected in my first lottery for the NYC marathon, I knew this was something special. I look forward to this race and would like to find someone to pace me and share this amazing experience. I have been fortunate to have the Goat pace me at my first 100, Leila and Heidi pace me in Leadville, and my friend David join me for part of the Pinhoti 100. However, I am just as comfortable running alone since most of my training is done this way. There is something so special about running in the woods and being surrounded by God’s creation. I know He is all around me and I take comfort in is His presence on and off trails. 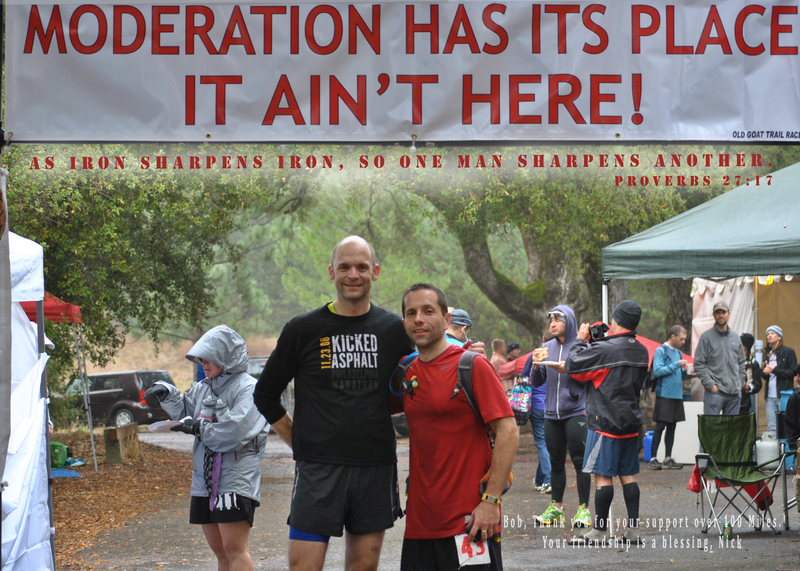 This entry was posted in Psalm, Safety and tagged Boston Marathon, Faith, fitness, Jesus, running, Ultramarathon, Ultrarunning, western states. Bookmark the permalink. This Nick guy is awesome, he has such a great perspective. A perspective that I know he has worked very hard to grasp. As an individual mentioned in his writing, I would strongly encourage anyone to attend an Ultra event. I said ‘attend’ not that you have to see yourself running 50 or 100 miles but go and spend a few hours volunteering at an aid station. Ultra running is not a super exciting spectator sport but if you want to see humanity, care, concern, and support that I have generally not seen in any other place but for those individuals caring for the ill, come to an Ultra, experience the people, see the scenery, get a flavor of the community, and then you will better understand why some of us run Ultras. And before any of you respond about the parallel to people running and “caring for the ill” like some Ultra runners are ill in the head. Many of us have accepted this torment with great pleasure. Hey, anyone want to go for a run during Storm Titan?! Looks like it’s not yet time to put away the Yak Trax! You are so incredibly inspiring. I’ve been out of my running routine, induced by health problems and a mental block and fear that has evolved since; reading your posts give me the desire to get back up and conquer the great gift God has given me. Keep writing, one day I pray to be up and doing as you do. Crystal, Thank you for your kind words and I am so glad if my blog was a source of encouragement. It is comments like yours that reinforce how amazing the Holy Spirit is in working in and through us in ways we don’t always understand. Please keep me posted on your progress and never hesitate to ask for any tips or suggestions if I can help with your running.